Artificial Intelligence; Computer Vision; Pattern Recognition; Biometrics; Visual Surveillance. IEEE Transactions on Information Forensics and Security, 13(4), pag. 888-896, doi: 10.1109/TIFS.2017.2771230, 2018. Proceedings of the IEEE Conference on Computer Vision and Pattern Recognition - CVPR 2017, pag. 6747-6756, Honolulu, Hawai, U.S.A., July 21-26, 2017. IEEE Transactions on Pattern Analysis and Machine Intelligence, 38(12), pag. 2444-2456, 2016. IEEE Transactions on Information Forensics and Security, 14(7), pag. 1702-1712, doi: 10.1109/TIFS.2018.2883853, 2019. IEEE Transactions on Information Forensics and Security, 12(7), pag. 1637-1645, doi: 10.1109/TIFS.2017.2680246, 2017. IEEE Transactions on Information Forensics and Security, 14(1), pag. 151-161, doi: 10.1109/TIFS.2018.2846617, 2018. Proceedings of the International Joint Conference on Biometrics - IJCB 2014, pag. 1-7, Clearwater, Florida, U.S.A., September 29- October 2, 2014. 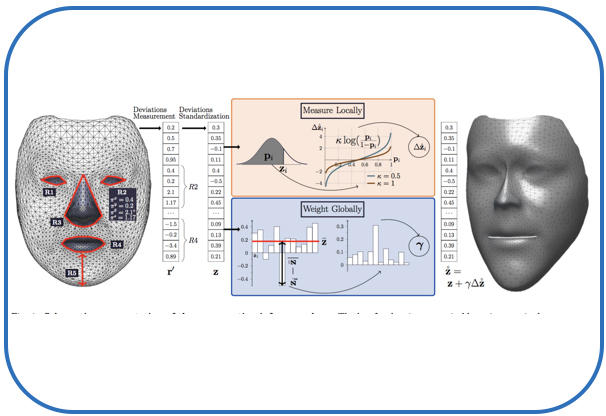 Proceedings of the IEEE Seventh International Conference on Biometrics: Theory, Applications and Systems – BTAS 2015, Washington DC, U.S.A., September 8-11, 2015. Proceedings of the IEEE Computer Society Conference on Computer Vision and Pattern Recognition Biometrics Workshop, – CVPRW 2019, pag. ?-?, Long Beach, U.S.A., June 17, 2019. Springer-Verlag book series, Communications Engineering/ Computer Vision, ISBN: 978-0-08-100705-1, 2016. Springer-Verlag book series, Lecture Notes on Electrical Engineering, vol. 292, 2014, ISBN: 978-3-642-54079-0. IEEE Access, doi:??/? ?, 2019 (in press). IEEE Transactions on Information Forensics and Security, 4(7), pag. 1702-1712, doi: 10.1109/TIFS.2018.2883853, 2019. IT Professional, 20(3), pag. 50-63, doi: 10.1109/MITP.2018.032501748, 2018. IET Biometrics, doi: 10.1049/iet-bmt.2016.0178, 2017. Elsevier Pattern Recognition, 74, pag. 286-304, doi: 10.1016/j.patcog.2017.08.028, 2017. Elsevier Pattern Recognition Letters, 91(1), pag. 3-10, doi: 10.1016/j.patrec.2016.12.013, 2017. IEEE Intelligent Systems, 33(3), pag. 41-67, 10.1109/MIS.2018.033001416, 2018. Elsevier Image and Vision Computing, doi: 10.1016/j.imavis.2016.03.015, 2016. Springer Artificial Intelligence Review, 46(4), pag. 1-27, 2016. Hindawi Mathematical Problems in Engineering, 2015, Article ID: 427270, 2015. Springer Journal of Classification, 34(1), pag. 85-107, doi: 10.1007/s00357-017-9223-0, 2017. [27, IJ] Periocular Recognition: How Much Facial Expressions Affect Performance? Springer Pattern Analysis and Applications, 19(2), pag. 517-530, 2015. Springer Journal of Signal Processing Systems, 2015. Springer Pattern Analysis and Applications, 2015. [24, IJ] Iris Recognition: What's Beyond Bit Fragility? IEEE Transactions on Information Forensics and Security, 10(2), pag. 321-332, 2015. IET Biometrics, 4(1), pag. 1-9, 2015. IEEE Transactions on Image Processing, 23(12), pag. 5082-5093, 2014. 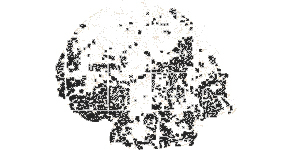 Elsevier Computer Vision and Image Understanding, 125, pag. 237-250, 2014. Wiley Cytometry: Part A, 85(6), pag. 491-500, 2014. Springer Machine Vision and Applications, 25(3), pag. 763-773, 2014. IEEE Transactions on Information Forensics and Security, 8(12), pag. 1975-1985, 2013. Springer Signal, Image and Video Processing, 9(5), pag. 1009-1019, 2013.
International Journal of Biometrics, 5(3/4), pag. 336-359, 2013. IEEE Transactions on Information Forensics and Security, 8(7), pag. 1115-1125, 2013. Elsevier Pattern Recognition Letters, 33, pag. 963-964, 2012. IEEE Transactions on Information Forensics and Security, 7(2), pag. 798-808, 2012. 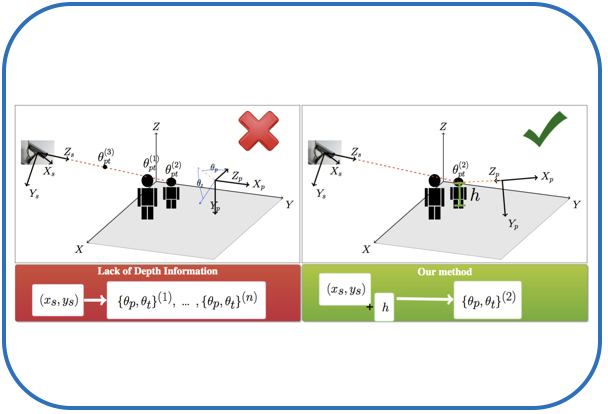 Elsevier Computer Vision and Image Understanding, 116, pag. 167-178, 2012. Springer Signal, Image and Video Processing, 5(3), pag. 1-2, 2011. IEEE Transactions on Information Forensics and Security, 6(1), pag. 82-95, 2011. IEEE Transactions on Pattern Analysis and Machine Intelligence, 32(8), pag. 1502-1516, 2010. IEEE Transactions on Pattern Analysis and Machine Intelligence, 32(8), pag. 1529-1535, 2010. Elsevier Image and Vision Computing, 28(2), pag. 213-214, 2010. Wiley Expert Systems, Special issue on Computer Recognition Systems, 27(1), pag. 6-16, 2010. Elsevier Image and Vision Computing, 28(1), pag. 202-206, 2010. 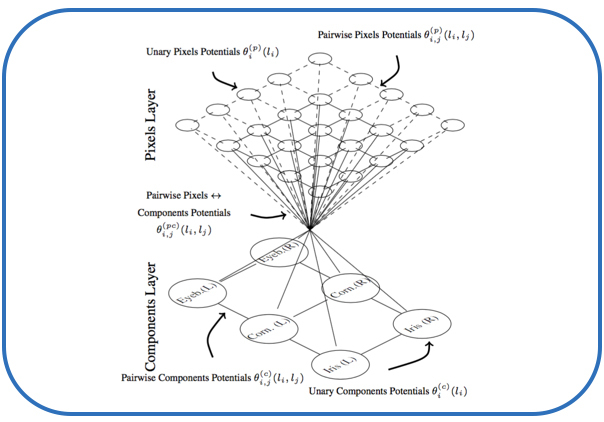 IEE Proceedings Vision, Image and Signal Processing, 153(2), pag. 199-205, 2006. 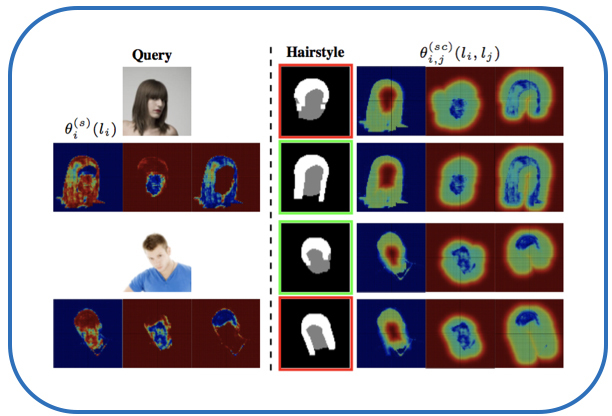 Elsevier Image and Vision Computing, ISSN: 1541-1672, 2019. IEEE Access, volume ?, issue ?, 2018. Electronic ISSN: 2169-3536. IEEE Intelligent Systems, Trends and Controversies, ISSN: 1541-1672, 2016. MDPI Symmetry, volume ?, issue ?, 2014. ISSN: 2073-8994. Elsevier Pattern Recognition Letters, volume ?, issue ?, 2014. ISSN: 0167-8655. Elsevier Pattern Recognition Letters, volume 33, issue 8, 2012. ISSN: 0167-8655. 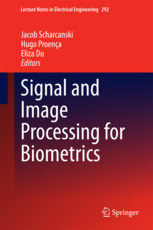 Springer Signal, Image and Video Processing, volume 5, number 3, September, 2011. ISSN: 1863-1703. Silvio Barra, Maria de Marsico, Hugo Proença and Michele Nappi. Selfie Biometrics, Ajita Rattani (Eds. ), Springer Verlag book series, 2019, XXII, ISBN: 2191-6586. 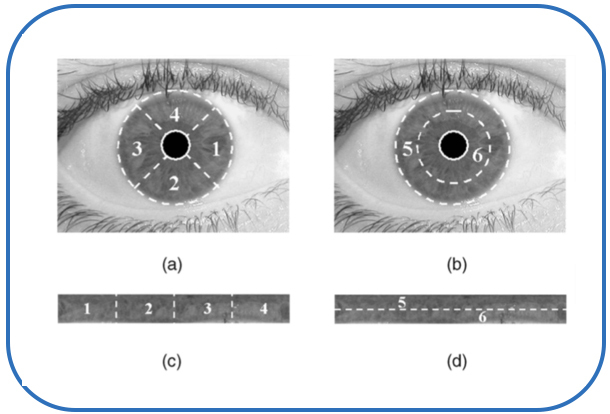 Iris and Periocular Biometric Recognition, Christoph Busch, Christian Rathgeb (Eds. ), IET, 2016. Handbook of Iris Recognition (2nd edition), Mark J. Burge and K. Bowyer (Eds. ), Springer Verlag book series, 2016, XXII, ISBN: 2191-6586. 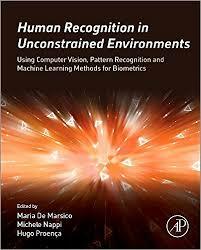 Face Recognition in Adverse Conditions, Maria De Marsico, Michele Nappi, Massimo Tistarelli (Eds. ), Advances in Computational Intelligence and Roboitics Book Series, IGI Global, 2014, ISSN: 2327-0411. 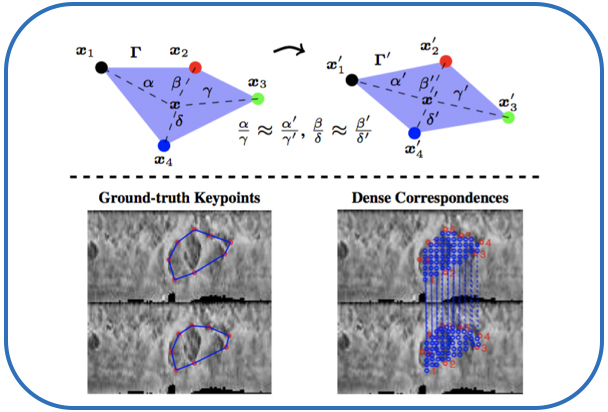 Proceedings of the IEEE Computer Society Conference on Computer Vision and Pattern Recognition "Biometrics" Workshop, – CVPRW 2019, pag. ?-?, Long Beach, U.S.A., June 17, 2019. 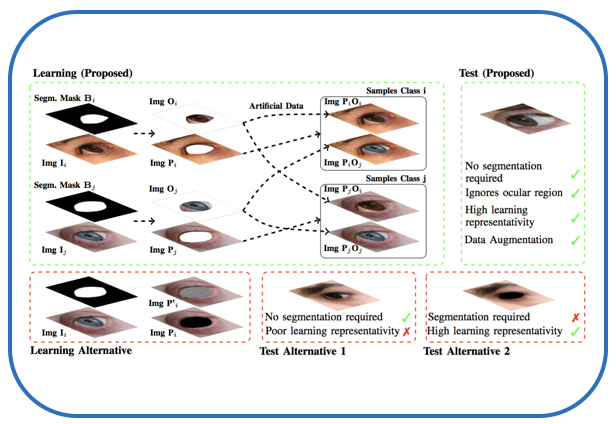 Proceedings of the IEEE Computer Society Conference on Computer Vision and Pattern Recognition "Bias Estimation in Face Analytics" Workshop, – CVPRW 2019, pag. ?-?, Long Beach, U.S.A., June 17, 2019. Proceedings of the 31st Conference on Graphics, Patterns and Images- SIBGRAPI 2018, pag. ?-?, Foz do Iguaçu, Brazil, October 29-November 1, 2018. Proceedings of the 2nd International Workshop on Biometrics in the Wild, 12th IEEE Conference on Automatic Face and Gesture Recognition – FG 2017, pag. 981-986, Washington D.C., May 30 - June 3, 2017. Proceedings of the International Conference on Pattern Recognition – ICPR 2016, Cancun, Mexico, December 4-8, 2016. Proceedings of the 9th IAPR International Conference on Biometrics - ICB 2016, Halmstad, Sweden, June 13-16, 2016. Proceedings of the International Conference on Signal and Image Processing Applications – ICSIPA 2015, Kuala Lumpur, Malaysia, October 19-21, 2015. Proceedings of the 18th International Conference on Image Analysis and Processing - ICIAP 2015, Genova, Italy, September 7-11, 2015. Proceedings of the 12th IEEE International Conference on Advanced Video and Signal based Surveillance - AVSS 2015, Kalrsruhe, Germany, August 25-28, 2015. Proceedings of the 6th International Conference on Security of Information and Networks - SIN 2013, pag. 160-164 , Aksaray, November 26-28, 2013. Proceedings of the 2013 IEEE Workshop on Biometric Measurements and Systems for Security and Medical Applications - BioMS 2013, pag. 8-13, Napoli, September 9, 2013. Proceedings of the International Conference on Image Analysis and Recognition - ICIAR 2013, Lecture Notes on Computer Science, vol. 7950, pag. 613-620 , P. Varzim, June 26-28, 2013. Proceedings of the IEEE Symposium on Computational Intelligence in Biometrics and Identity Management - CIBIM 2013, Singapore, April 16-19, pag. 77-80, 2013. Proceedings of the IEEE Symposium on Computational Intelligence in Biometrics and Identity Management - CIBIM 2013, Singapore, April 16-19, pag. 14-21, 2013. 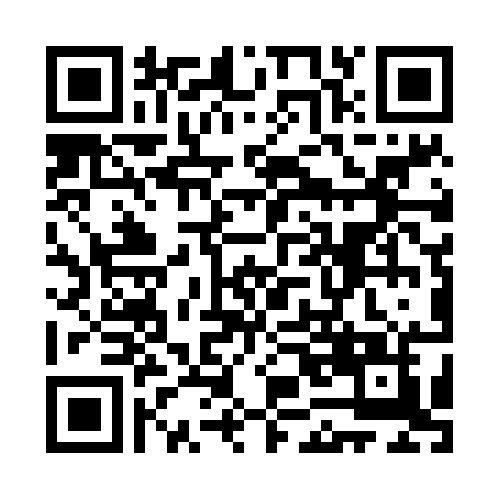 Proceedings of the IEEE Fifth International Conference on Biometrics: Theory, Applications and Systems – BTAS 2012, Washington DC, U.S.A., September 23-26, 2012. Proceedings of the Fifth IAPR/IEEE International Conference on Biometrics – ICB 2012, New Delhi, India, March 30-April 1, 2012. Proceedings of the IEEE International Joint Conference on Biometrics – IJCB 2011, Washington DC, U.S.A., October 11-13, 2011. Proceedings of the EUSIPCO'11 - Nineteenth European Signal Processing Conference, Barcelona, Spain, August 29 - September 2, 2011. Proceedings of the 2011 IEEE Workshop on Computational Intelligence in Biometrics and Identity Management - SSCI 2011 CIBIM, Paris, France, April 11 - April 15, pag. 84-90, 2011. Proceedings of the Sixth IEEE International Workshop on Multimedia Information Processing and Retrieval - MIPR 2010, Taichung, Taiwan, December 13 - December 15, pag. 324-329, 2010. IEEE Proceedings of the 3rd International Congress on Image and Signal Processing - CISP 2010, Yantai, China, October 16 - October 18, vol. 4, pag. 1873-1877, 2010. [16, IC] Biometric Recognition: When Is Evidence Fusion Advantageous? Springer Lecture Notes in Computer Science (vol. 5876) – ISVC 2009: 5th International Symposium on Visual Computing, Las Vegas, Nevada, U.S.A., October 30 - November 2, part II, pag. 698-708, 2009. Proceedings of the 2009 International Conference on Computational Intelligence and Security - CIS'09, Beijing, China, December 11 - December 14, vol. 1, pag. 315-319, 2009. Taylor & Francis Proceedings of the II ECCOMAS Thematic Conference on Computational Vision and Medical Image Processing - VIPIMAGE'09, Porto, Portugal, October 14 - October 16, 2009. Proceedings of the IEEE Symposium Series on Computational Intelligence in Biometrics: Theory, Algorithms, and Applications - CIBIM SSCI 2015, Nashville, Tennessee, U.S.A., March 30 - April 2, vol. 1, pag. 9-15, 2009. Springer Lecture Notes in Computer Science – ISVC 2008: 4th International Symposium on Visual Computing, Las Vegas, Nevada, U.S.A., December 1-3, volume 1, pag. 731-742, 2008. IEEE Proceedings of the International Conference on Signal Processing - ICSP'08, Beijing, China, October 26-29, vol. 1, pag. 903-908, 2008. IEEE Proceedings of the International Conference on Computational Intelligence and Multimedia Applications - ICCIMA'07, Sivakasi, India, December 13-15, vol. 3, pag. 301-307, 2007. Springer Lecture Notes in Computer Science – ISVC 2007: 3rd International Symposium on Visual Computing, Lake Tahoe, Nevada, U.S.A., November 26-28, vol. 1, pag. 621-632, 2007. Springer Lecture Notes in Computer Science, Advances in Soft Computing – CORES 2007: 5th International Conference on Computer Recognition Systems, Wroclaw, Poland, October 22-25, pag. 731-738, 2007. Proceedings of the IEEE First International Conference on Biometrics: Theory, Applications and Systems – BTAS 2007, Washington DC, U.S.A., September 27-29, 2007. IEEE Proceedings of the 2006 International Conference on Computational Intelligence for Homeland Security and Personal Safety - CIHSPS 2006, Alexandria, U.S.A., October 16-17, vol. 1, pag. 35-40, 2006. IEEE Proceedings of the 2006 International Conference on Computational Intelligence and Security - CIS 2006, Guangzhou, China, November 3-6, vol. 2, pag. 1771-1774, 2006. IEEE Proceedings of the 18th International Conference on Pattern Recognition - ICPR 2006, Hong Kong, August 20-24, vol. 4, pag. 405-408,2006. IEEE Proceedings of the First International Conference on Availability, Reliability and Security - AReS 2006, Vienna, Austria, April 20-22, vol. 1, pag. 227-230, 2006. Springer Lecture Notes in Computer Science – ICIAP 2005: 13th International Conference on Image Analysis and Processing, Cagliari, Italy, September 6-8, volume 1, pag. 970-977, 2005. Springer Lecture Notes in Computer Science, Advances in Artificial Intelligence – IBERAMIA 2004: 9th Ibero-American Conference on AI, Puebla, Mexico, November 22-25, pag. 12-21, 2004. Funded by the "FEDER, Fundo de Coesão e Fundo Social Europeu", in the scope of the PT2020 - Portugal 2020 program, POCI-01-0247-FEDER-033395. Funded by the "FEDER, Fundo de Coesão e Fundo Social Europeu", in the scope of the PT2020 - Portugal 2020 program. Institutions Involved: "IST: Instituto Superior Técnico", "ISCTE: Instituto Universitário de Lisboa", "FEUP: Faculdade de Engenharia da Universidade do Porto" and "INFAIMON: Visão Artificial". Institutions Involved "UBI: University of Beira Interior"
Funded by the Portuguese FCT: Foundation for Science and Technology (Fundação para a Ciíncia e Tecnologia) and FEDER, PTDC/EIA-EIA/103945/2008. Guest Editor of the Special Issue on the "Visual Surveillance and Biometrics: Practices, Challenges, and Possibilities", IEEE Access, 2018. Co-guest editors: Sambit Bakshi, National Institute of Technology Rourkela, India, Guodong Guo, West Virginia University, USA, Massimo Tistarelli, University of Sassari, Italy. Editor (chair) of the IEEE Biometrics Council Newsletter. Editors team: Maria de Marsico (Sapienza University of Rome, Italy), Oleg Komogortsev (Texas State University, U.S.A.), Jiwen Lu (University of Illinois, U.S.A.), Raghavender Jilela (DigitalSignal Corp., U.S.A.), Christian Rathgeb (Salzburg University, Austria) and Julian Fierrez (Universidad Autónoma de Madrid, Spain). Member of the Editorial Board of the International Journal of Biometrics. 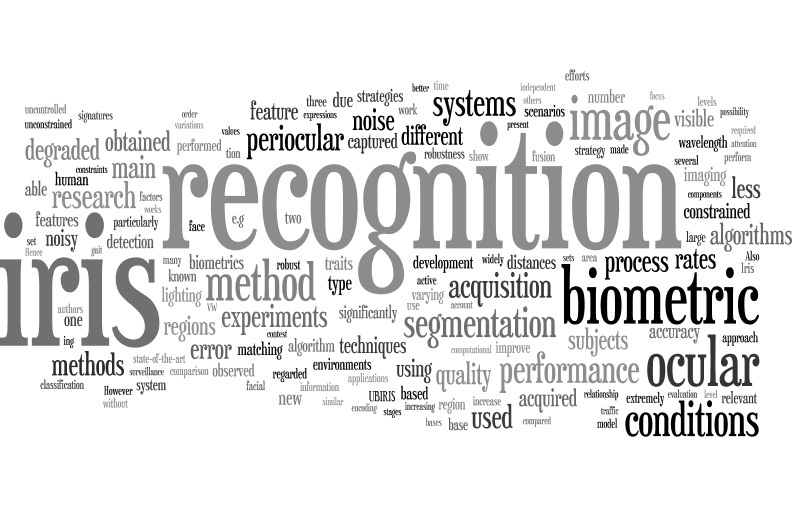 Guest Editor of the Special Issue on “Biometric Recognition In-The-Wild” of the MDPI Symmetry Journal, 2015. 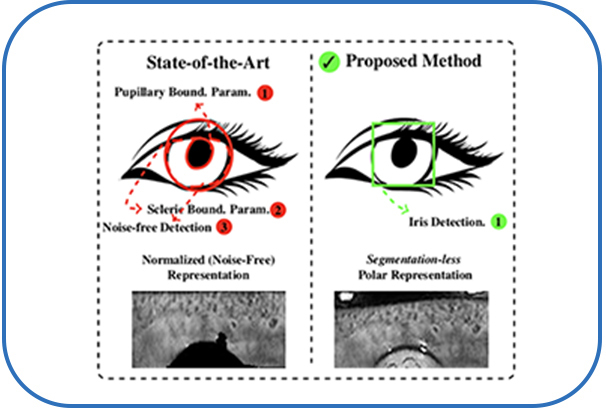 Guest Editor of the Special Issue on the "MICHE I: Mobile Iris Challenge Evaluation” of the Elsevier Pattern Recognition Letters Journal, 2013. (This is an Executable Special Issue. "MICHE I" will be the first Executable Special Issue of Pattern Recognition Letters). Guest Editor of the Special Issue on the “Mobile Iris Challenge Evaluation” of the Springer Signal, Image and Video Processing Journal, 2010. Guest Editor of the Special Issue on the "Recognition of Visible Wavelength Iris Images Acquired On-The-Move and At-A-Distance” of the Elsevier Pattern Recognition Letters Journal, 2010. 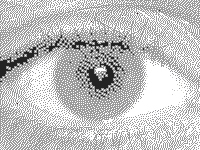 Guest Editor of the Special Issue on the “Segmentation of Visible Wavelength Iris Images Acquired On-The-Move and At-A-Distance” of the Elsevier Image and Vision Computing Journal, 2009. Supervisor: Prof. Eugénio Oliveira, Main examiner: Prof. Paula Prata. Chairperson of a session of the VIPIMAGE’09: II ECCOMAS Thematic Conference on Computational Vision and Medical Image Processing, Porto, Portugal, October, 2009. Member of the Local Organizing Committee of the Portuguese 2009 programming challenge for high school students: “TIUP: Torneio Inter-Universitário de Programação”. Chairperson of a session of the ICANN2007 - International Conference on Artificial Neural Networks, Porto, Portugal, October, 2007. [15, IT] “Biometric Recognition In-The-Wild: Progresses and Directions", 2019 International Seminar on Theoretical Computer Science, Yunman, China, July, 2019. [14, TU] "Biometric Recognition in Surveillance Environments Using Master-Slave Architectures" tutorial, given in the scope of the SIBGRAPI-2018: 31st Conference on Graphics, Patterns and Images, Foz do Iguaçu, Brazil, October 29th- November 1st, 2018. [13, IT] “Biometric recognition in Surveillance Environments”, Biometrics 2015, London, United Kingdom, October, 2015. 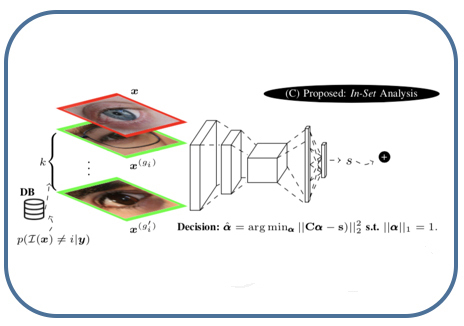 [12, TU] "Ocular Biometrics in Non-cooperative Environments" tutorial, given in the scope of the BTAS-2015: IEEE Seventh International Conference on Biometrics: Theory, Applications and Systems, Washington D.C., September, 8th, 2015. [9, IT] “Non-Cooperative Biometric Recognition: Issues and Trends”, 9th Conference on Telecommunications, Conftele 2013‬. [8, IT] “Programação para Totós”, Núcleos de Informática e Tecnologia e Sistemas de Informação, Universidade da Beira Interior, October, 2011. [7, IT] “Non-Cooperative Biometric Recognition: Issues and Trends”, ‪UPorto's ECE Back To Basics Colloquium‬, Faculty of Engineering, June 1st, 2011. [6, IT] “Caries Detection in Panoramic Dental X-Ray Images”, Ciclo de Palestras de Bioengenharia, Universidade da Beira Interior, November, 2010. [5, IT] "Programação para Totós”, Núcleos de Informática e Tecnologia e Sistemas de Informação, Universidade da Beira Interior, November, 2010. [3, IT] “Towards Non-Cooperative Biometric Iris Recognition”, Ordem dos Engenheiros, University of Beira Interior, June, 4th, 2007. [2, IT] “Iris Project”, NNIG - NEURAL NETWORKS Interest Group, FEUP- Faculdade de Engenharia da Universidade do Porto, October, 28th, 2005. [1, IT] “UBIRIS: A noisy iris image database”, XIV Jornadas de Informática da Universidade da Beira Interior, University of Beira Interior, April, 2005. University of Beira Interior, 2016-2017. University of Beira Interior, 2015-2016. University of Beira Interior, 2014-2015. University of Beira Interior, 2013-2014. University of Beira Interior, 2012-2013. University of Beira Interior, 2011-2012. (Co-supervisor, Supervisor is Prof. Paulo Fiadeiro, UBI, Dept. Physics), University of Beira Interior, 2010-2011. University of Beira Interior, 2008-2009. [29, GP] Reconhecimento Biométrico em Selfies III: Classificação Biométrica "Soft"
University of Beira Interior, July, 2010. IST, University of Lisbon, 2019. Indian Institute of Technology (ISM) Dhanbad, India, 2017. [7, EP] Evaluator of the "Technical and Scientific Projects"
[6, EP] Evaluateur of the "Portugal2020 - SI I&DT Programas Mobilizadores"
[5, EP] Rapporteur of the "Joint Applied Research Projects"
[4, EP] Evaluateur of the "Young Research Teams - 2014"
[3, EP] Rapporteur of the "Joint Applied Research Projects"
[2, EP] Evaluator of "Joint Applied Research Projects"
[1, EP] Evaluator of "Joint Applied Research Projects"